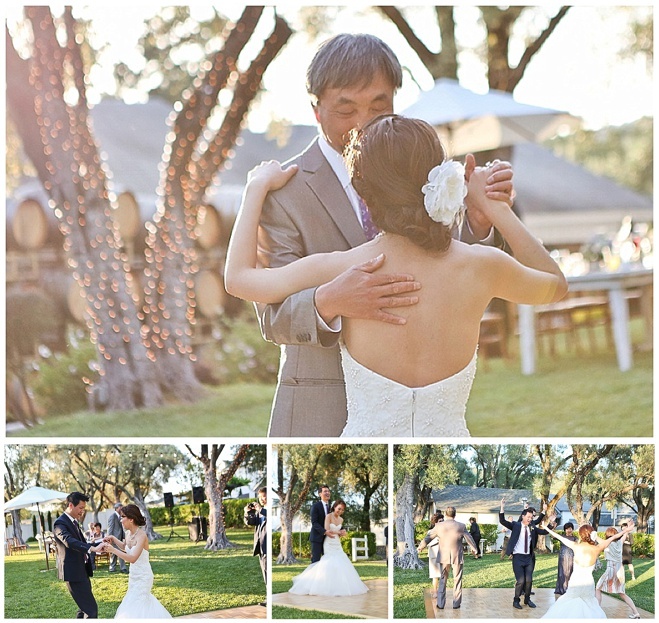 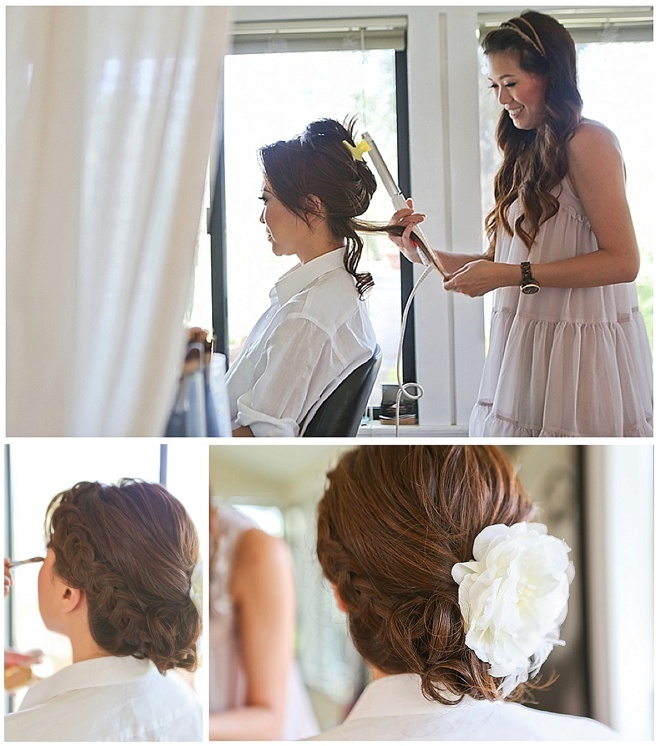 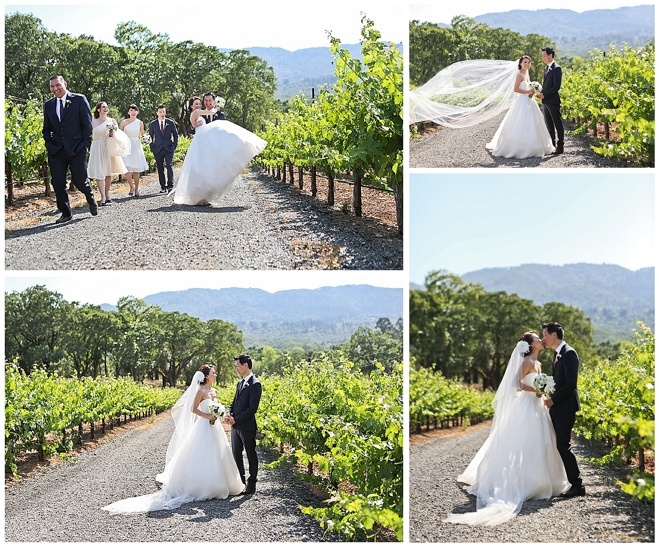 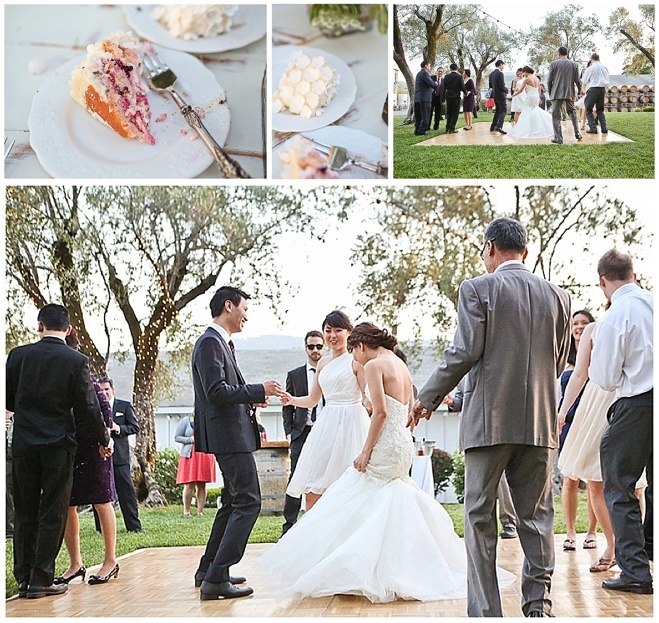 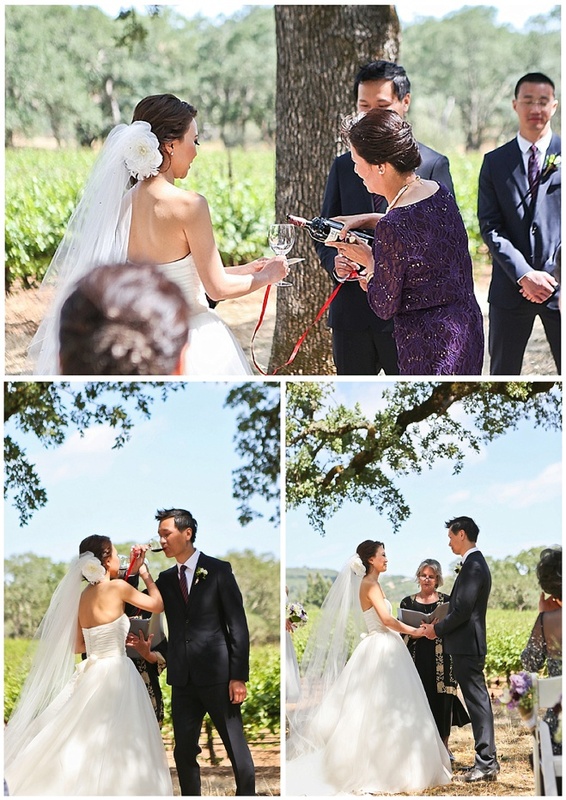 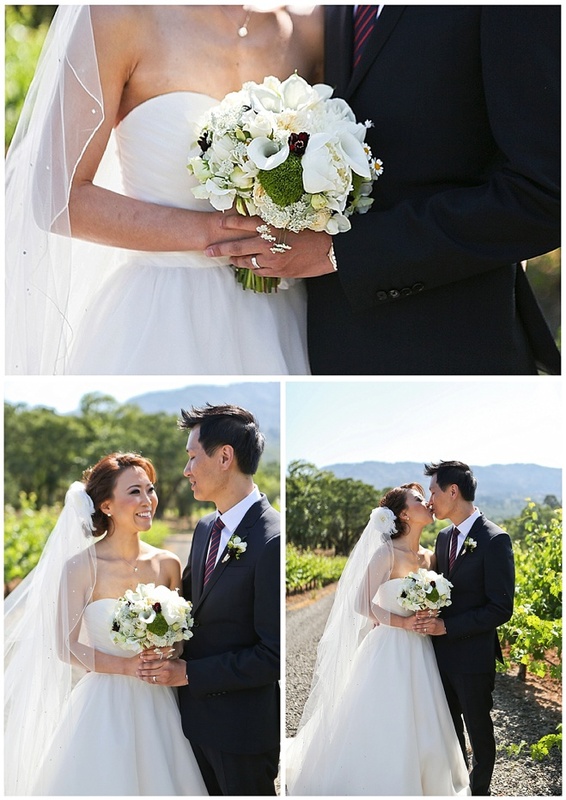 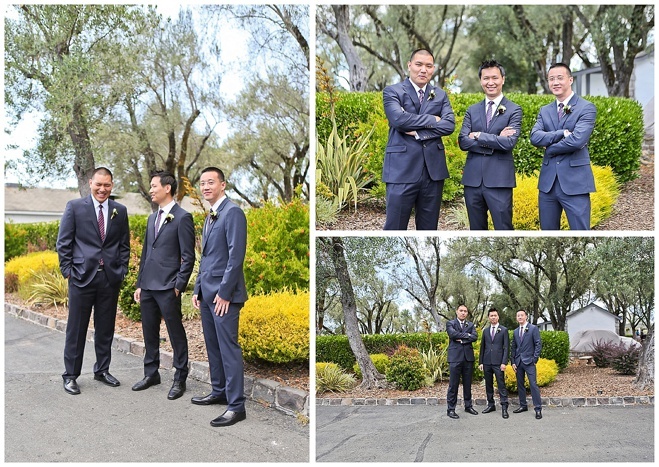 Graceful, elegant, and charming are the three words that come to mind when browsing Hayley Anne Photography's beautiful snapshots from Ju Youn and Wes' Sonoma wedding at BR Cohn Winery in Sonoma. 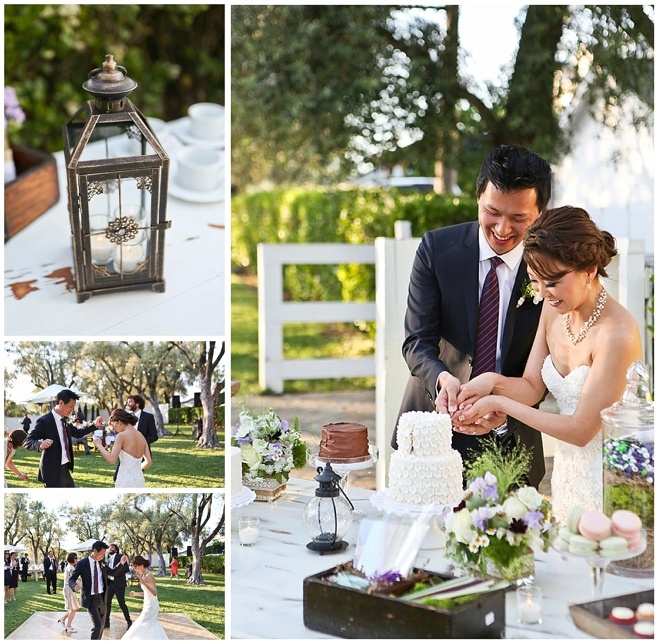 From the rustic chic lanterns and blossoming peonies to the too-pretty-to-eat cake and strings of lights illuminating the reception dance floor, this wedding displayed an exceptional combination of high elegance and intimacy. 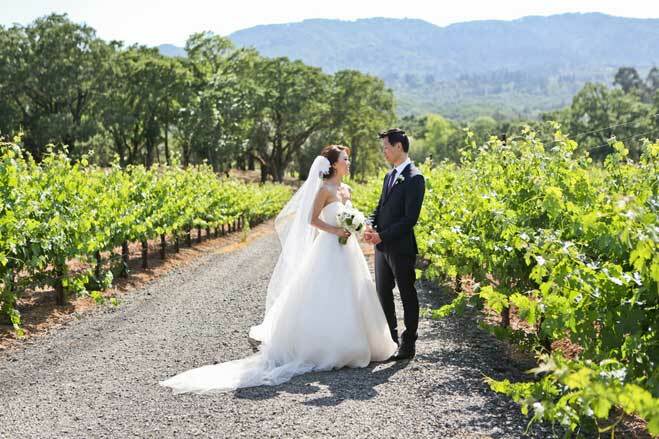 Let's not forget the breathtaking venue: with a backdrop of rolling vineyards for miles, this summery day in Sonoma became all the more enchanting and memorable for these two lovebirds. 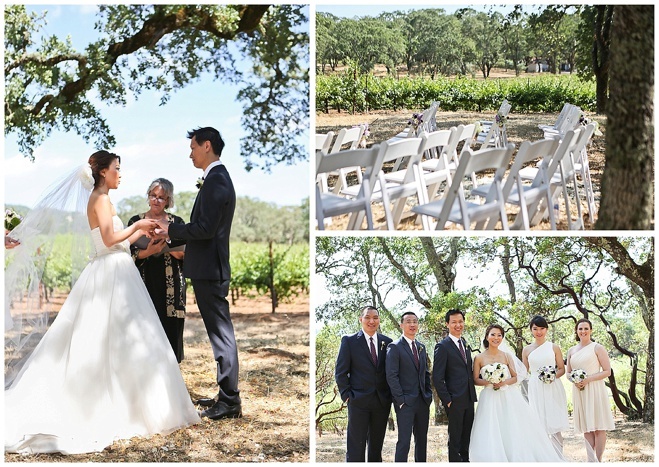 "The goal of this wedding was to recreate the carefree whimsy of a meadow of wildflowers, but with the timeless elegance of a wine country wedding. 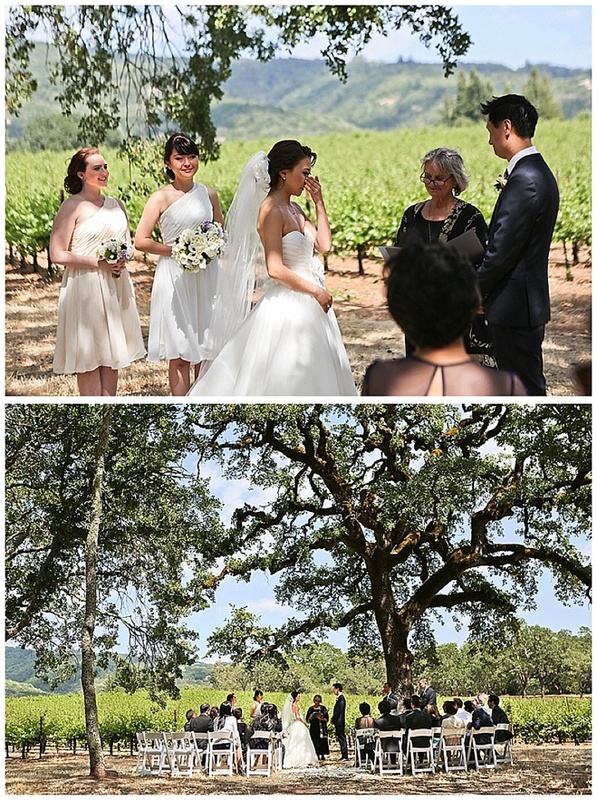 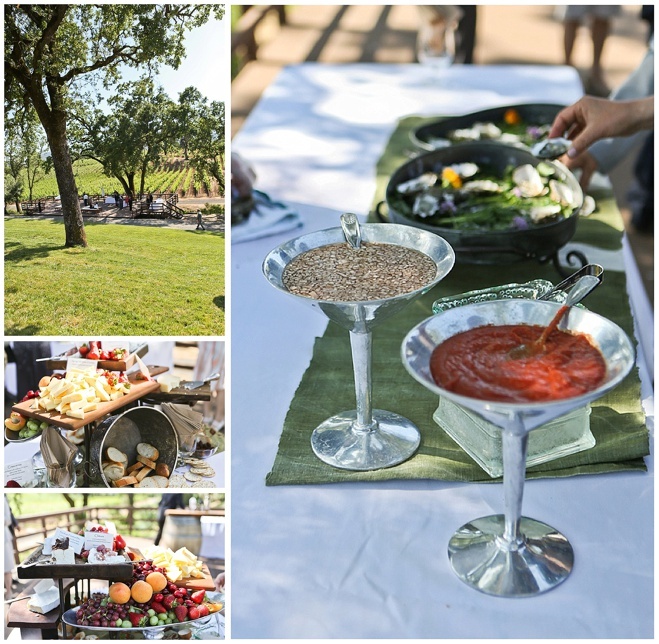 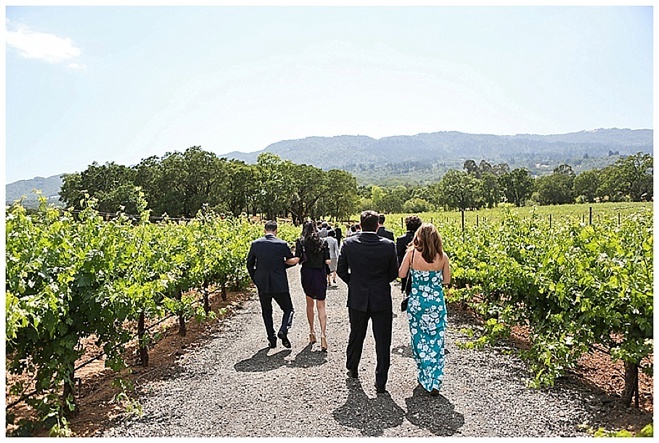 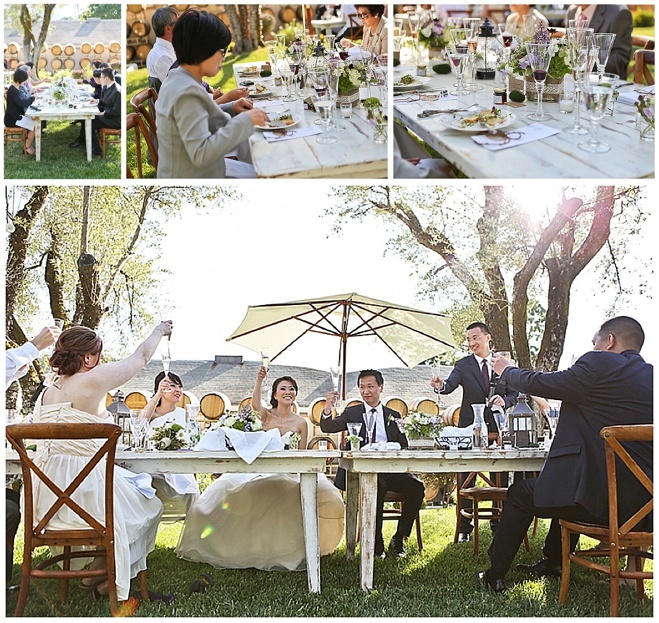 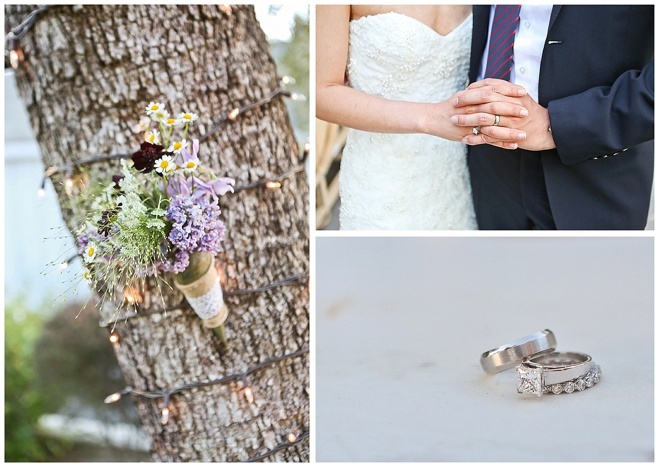 The ceremony took place under the canopy of impressive California oak trees and was surrounded by breathtaking views of the vines and rolling hills that define Sonoma. 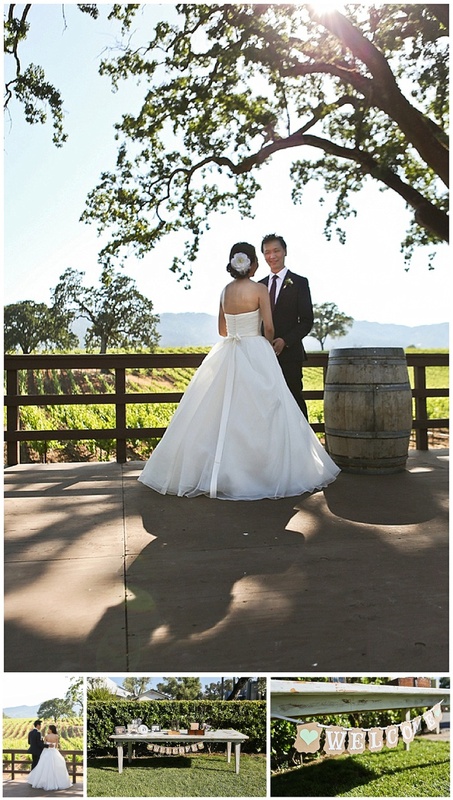 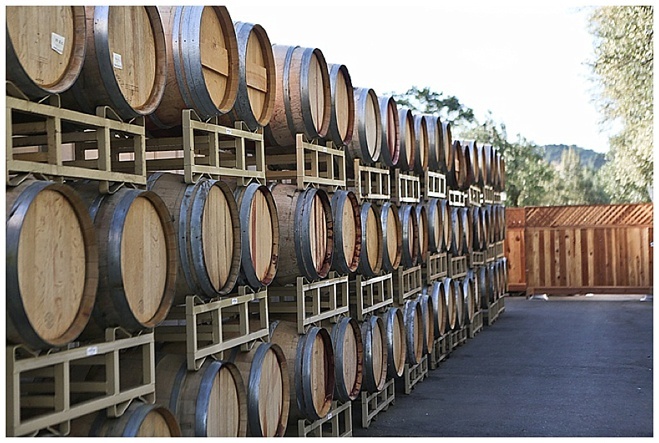 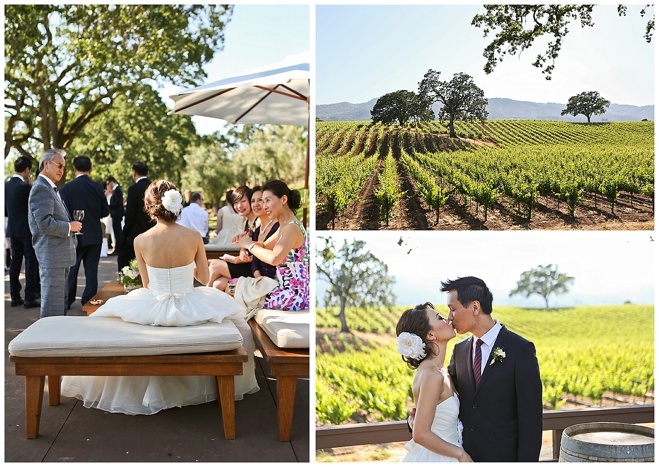 The day was a perfect balance between classically romantic and the relaxed outdoor wine country setting that is BR Cohn. 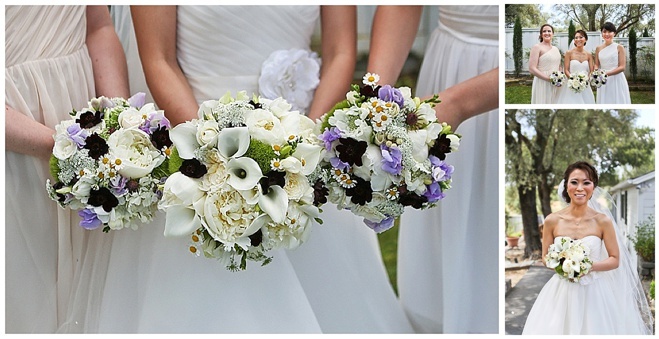 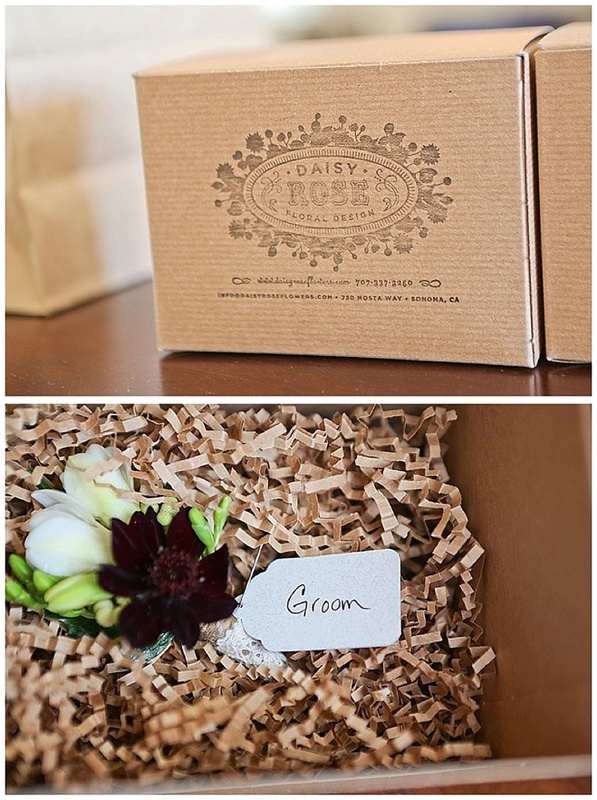 The flowers were a mix of lush, romantic materials like peonies, lilac, callas and garden roses combined with wildflower touches, like chocolate cosmos, feverfew, freesia, poppy pods, sweet pea and explosion grass. 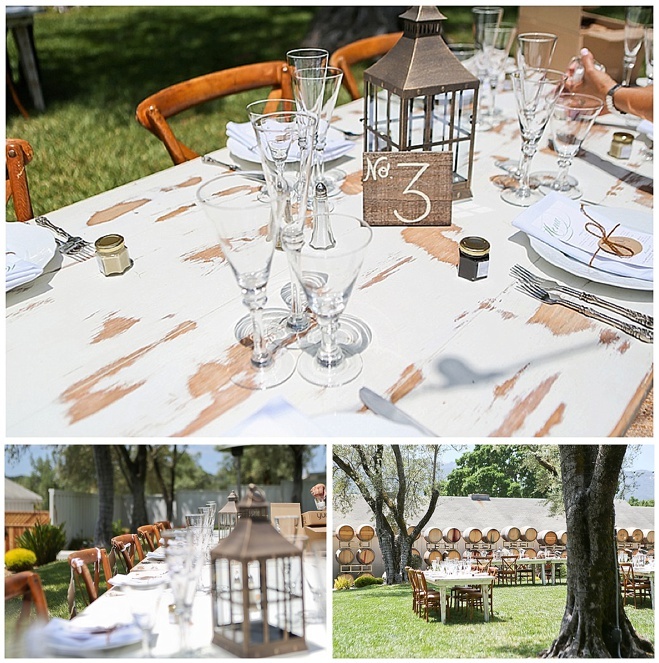 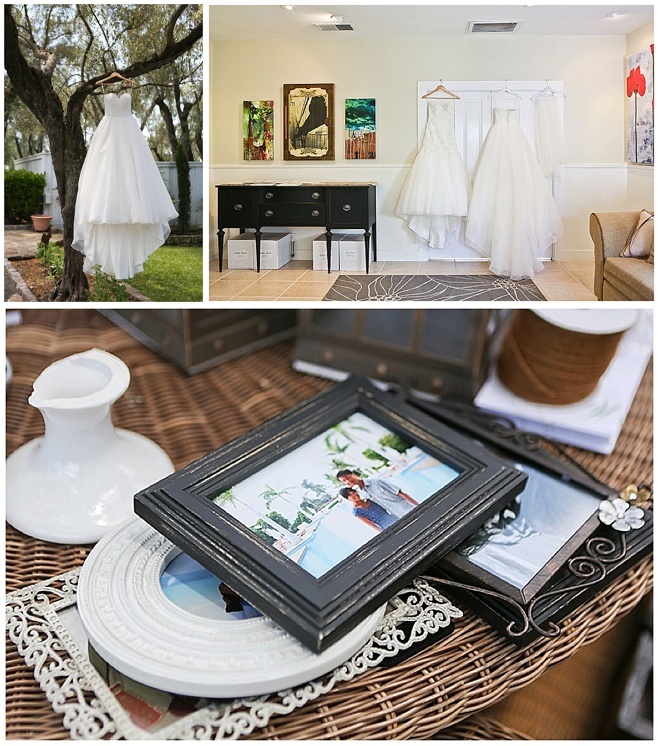 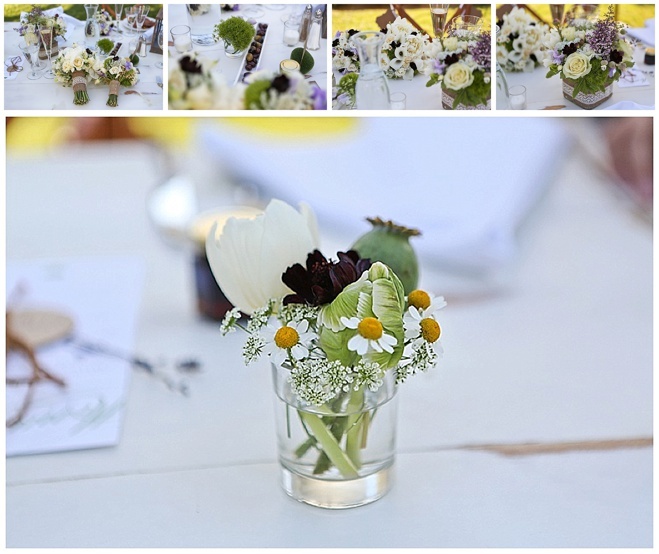 The whitewashed farm tables continued the spirit of relaxed elegance and added a bright, fresh feel to the reception. 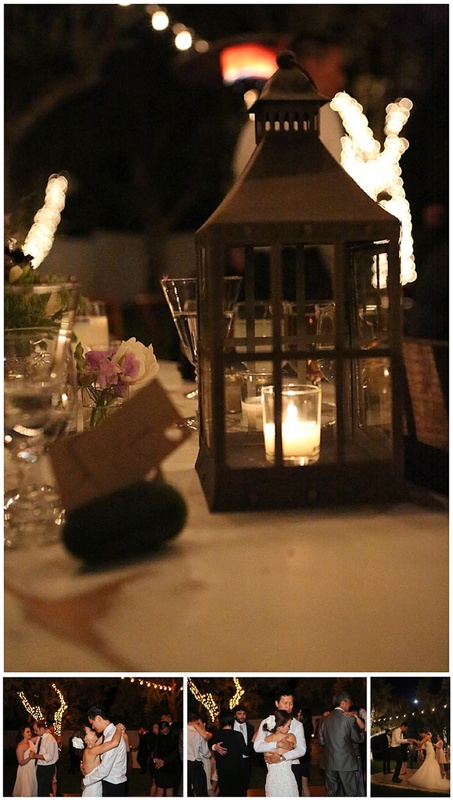 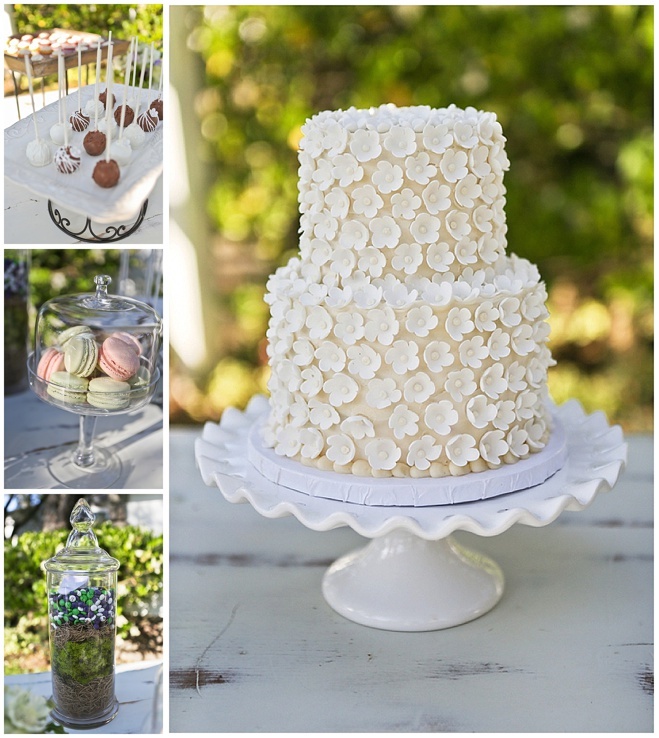 They were dotted with colorful flowers, lanterns and elegant olive appetizers (a nod to the olive grove where the reception took place). 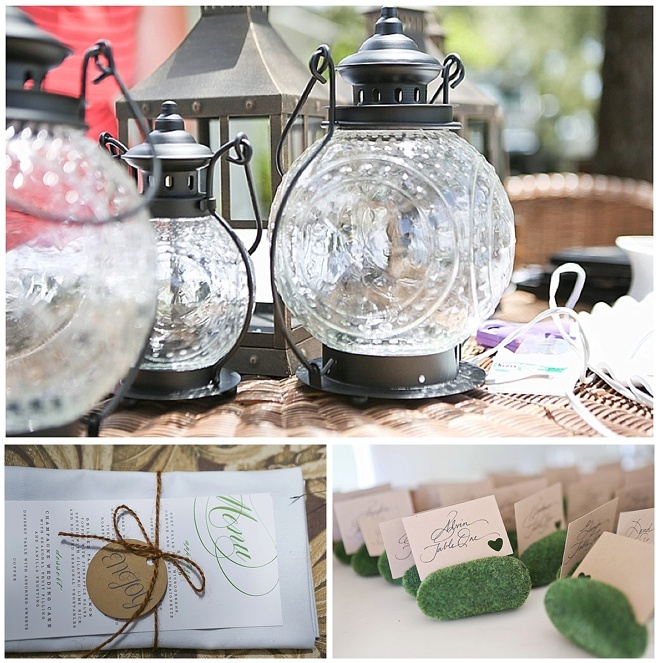 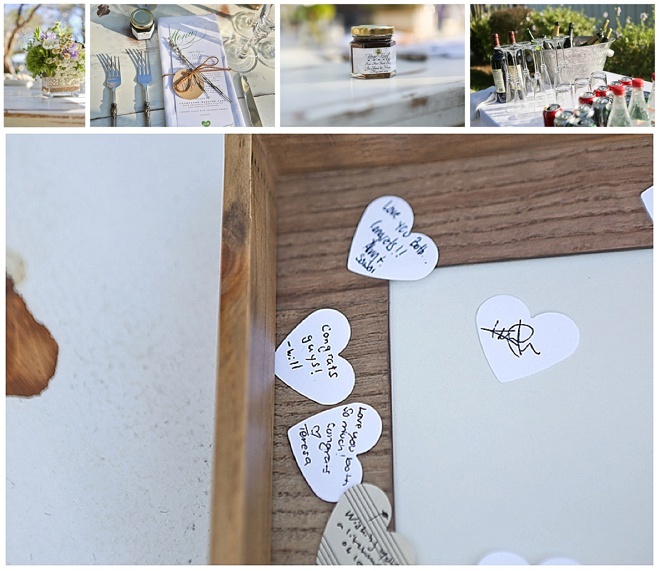 The sweet flowers that were seen on the chairs during the ceremony were then hung from the olive trees surrounding the dance floor, or tucked into a vintage wooden tool box that was used to hold guests' cards and notes of well wishes. 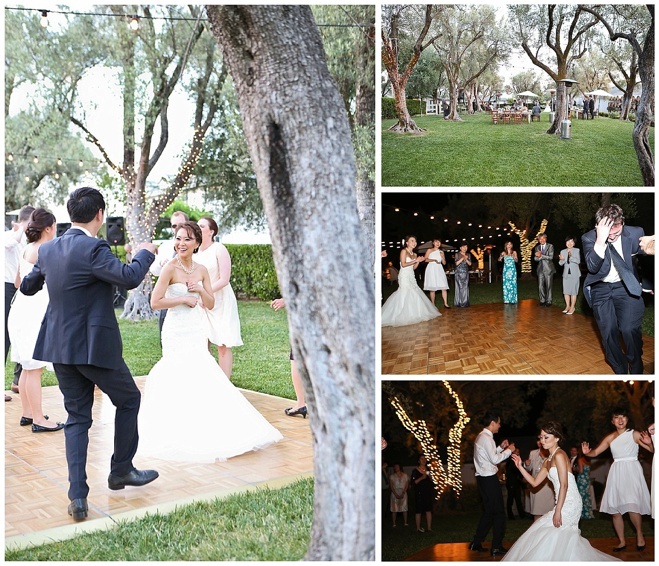 The twinkly lights strung across the reception area and dance floor brought a sense of intimacy to the outdoor setting and created a warm romantic glow that allowed the couple and their guests to let loose and enjoy the party, well into the night!"